Our Temple of Boom as seen at Love Evolution in SF with a US Navy Barber Supply Kit BoomCase. Getting ready for summer. 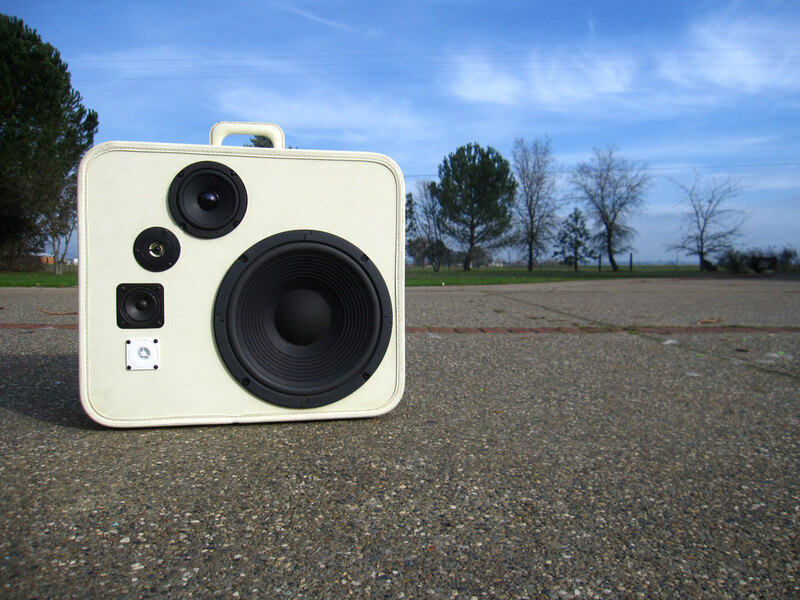 Lunch BoomBoxes Now For Sale Including Duck Boom. We will Be Making a Very Limited amount of these. Because of the cramped “work space” of the lunch box it takes more time to make these than a typical BoomCase + the the care that needs to be taken when working with the plastic. We will Limit these to about 20. One Available Now + More to Come. 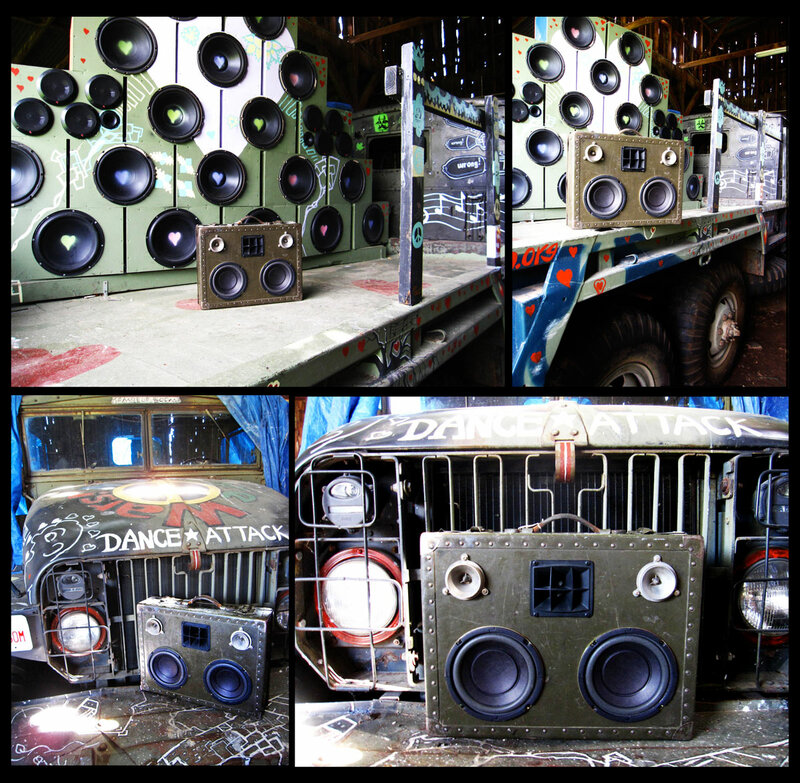 I Need A BoomCase Now! 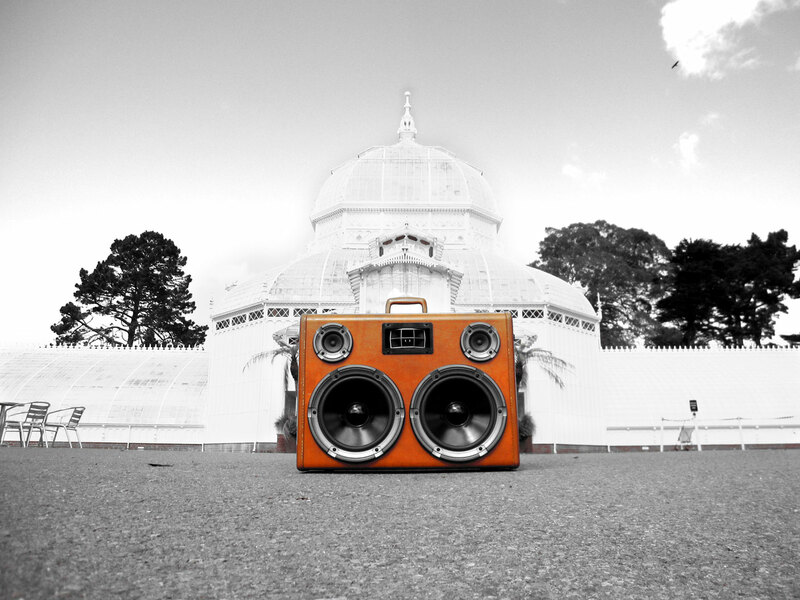 Get Your BoomCase Fix @ Dijital Fix – Brooklyn. Three Exclusive BoomCases Now Available. Including This Awesome Samsonite BoomCase. Available Now + More Tomorrow. One is a Rare Amelia Earhart case, can u tell which one? New Customs + New BoomCases Later This Week + A New Friends Section. 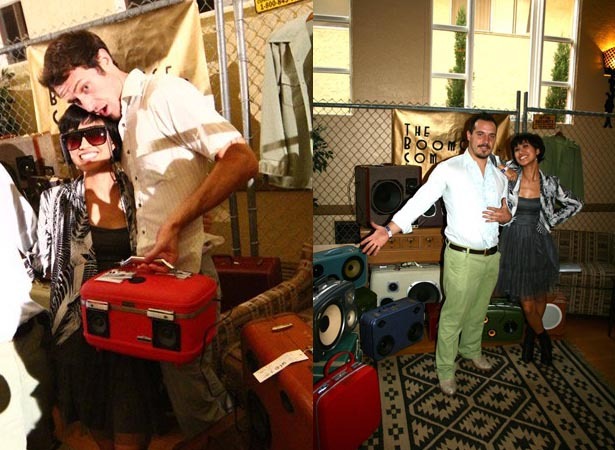 A few new suitcases available to be customized + Two New BoomCases in the store. Look for a few more to come in the next couple of days. Rich Red’ish Brown Belber Neolite suitcase and a Grayish Blue Travalong. and its in EXCELLENT CONDITION! Its Finally Here! Duck BOOM! 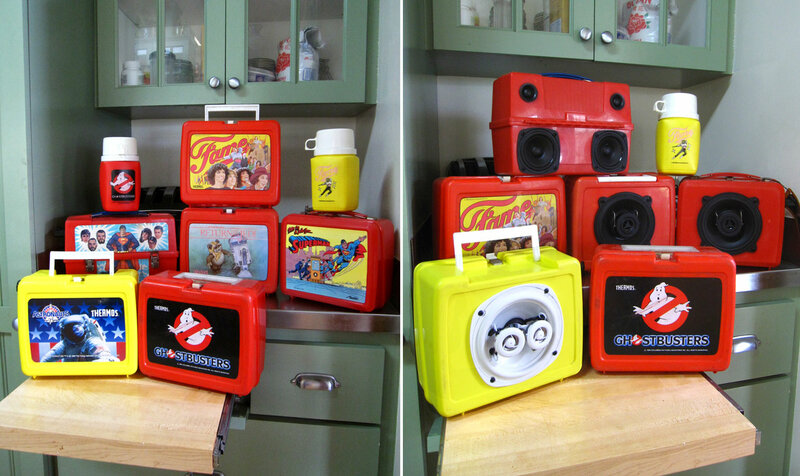 80’s Lunch Box Turned BoomCase. We are already working on 4 More of These : ) Look for some Sweet New BoomCases and Suitcases to be available tomorrow in our online store. New BoomCase and suitcases for reserving up now. 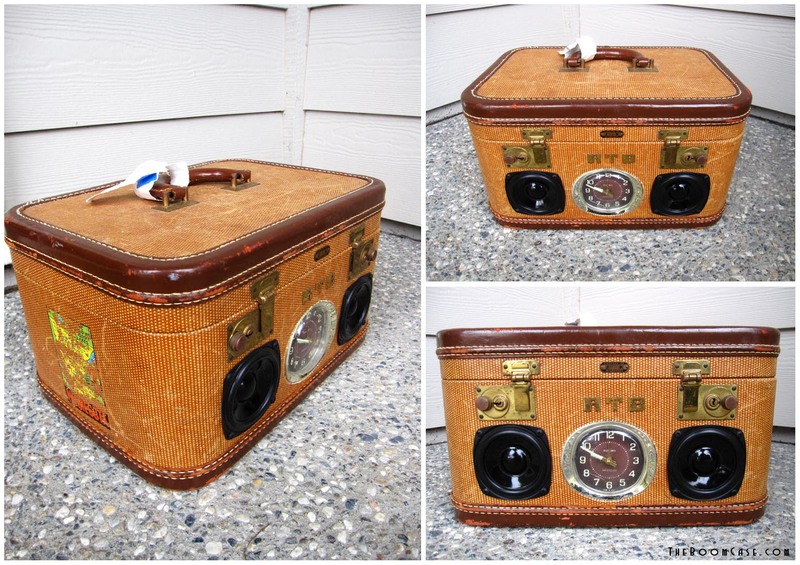 Custom Clock Train Case and Sent In Suitcase turned BoomCase + New Cases in Store. 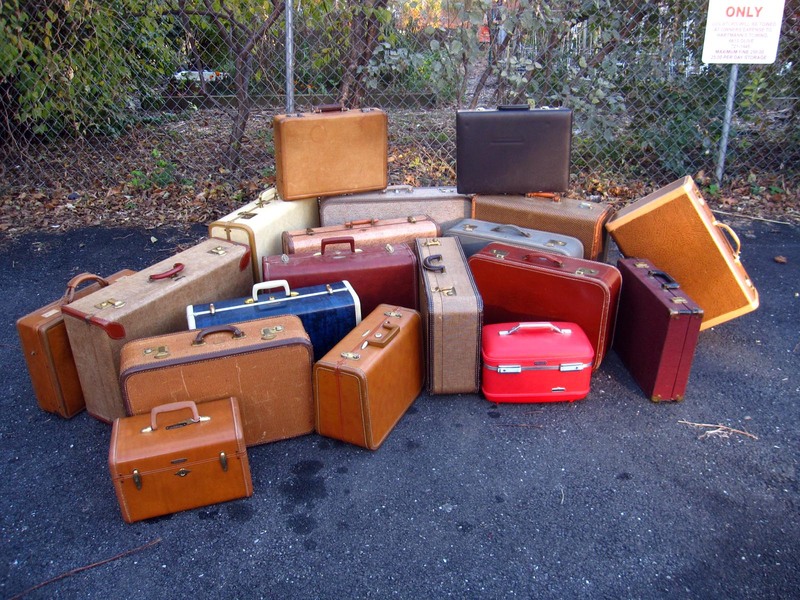 We have 2 Vintage Lady Baltimore Suitcases ready for Custom Order. Rare colors for us to find. One in Hot Red and the other in Cool Teal. Manic Monday. 4 NEW BoomCases! 4 new BoomCases will be available today through out the day. SO keep checking in! Click on BoomCases below to go to The BoomCase Store to see if they are available. They will be available in the order of this line up. 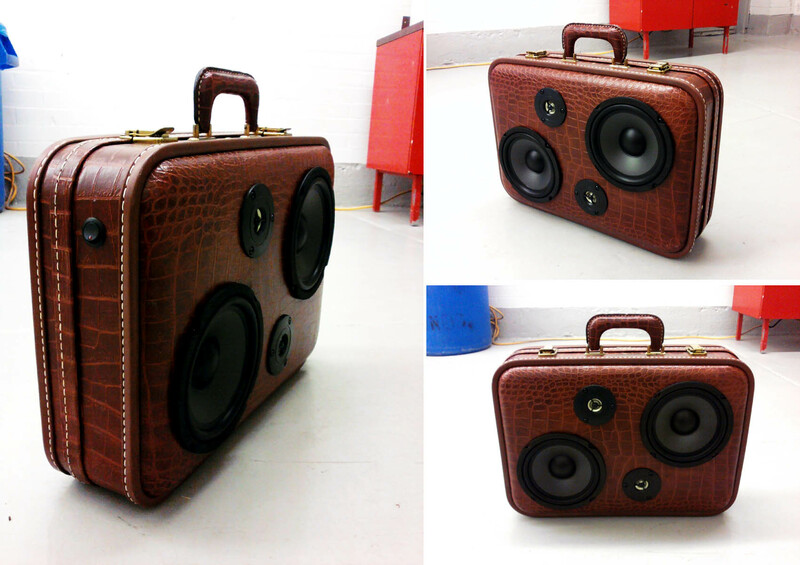 Speaker Grills and iPod/iPhone/Candy Slot + New Cases Available in Online Store. 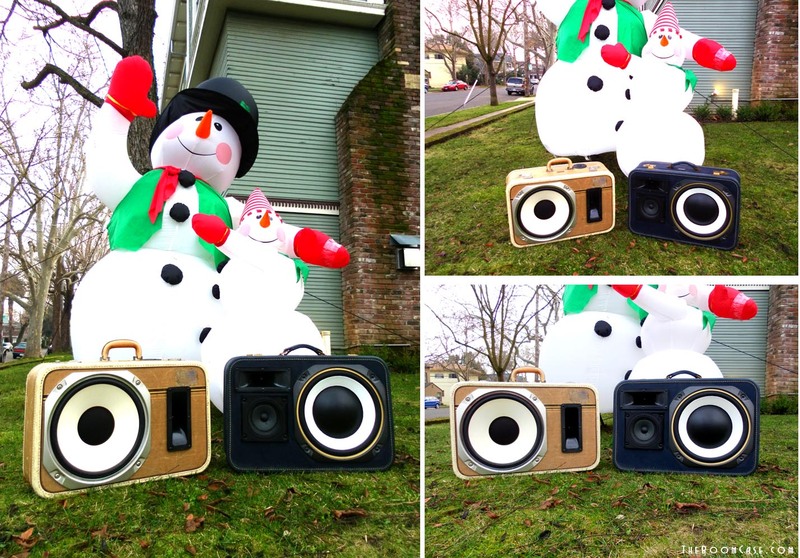 Feeling the winter cold… warm up with your very own Beach Boy BoomCase! Sorry it took us so long to get the custom order section rolling we are still working on orders and organizing our new shop. Sneak peak of half our Boomventory! For more information and best way to reserve a case check out The BoomCase Store. We are releasing suitcases for custom orders at a limited amount every week so that we can handle production. Boom Brothers Available Next Week. “The X Wing” & “BriefBot” Now Available. These will most likely be the last two cases we finish before the Holidays. We are 85% done with our backlog of orders…So…Look for Custom Orders and new Options to be available after New Years! Built-in 7″ LCD Screen Anyone? 😉 Click On The Pictures Below To Enter Store. “T2” Now Available in Online Store. 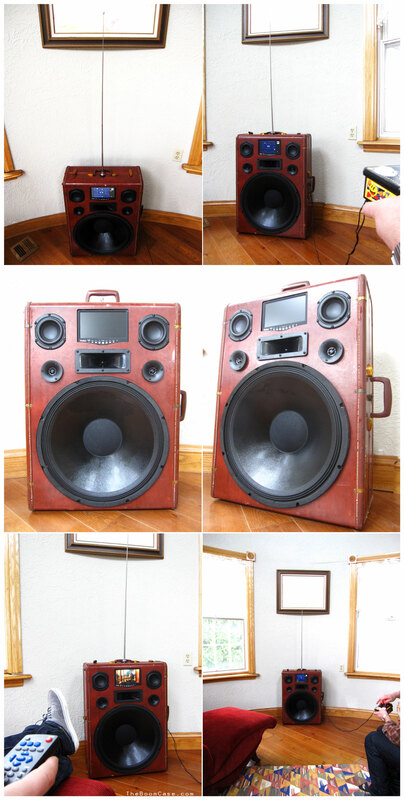 All Wood BoomCase. Click to Shop. Thump M.A.S.H.E.R – In online Store. 200 Watt 1950's Army Issue Case. Available. The L. Frank Baum – Now Available. The Writer Of Oz In a Nicely Bound Package. Two More BoomCases Available Monday. Butterscotch Deluxe. Available in Store. Give a Gift that Booms! BoomBucks are here! 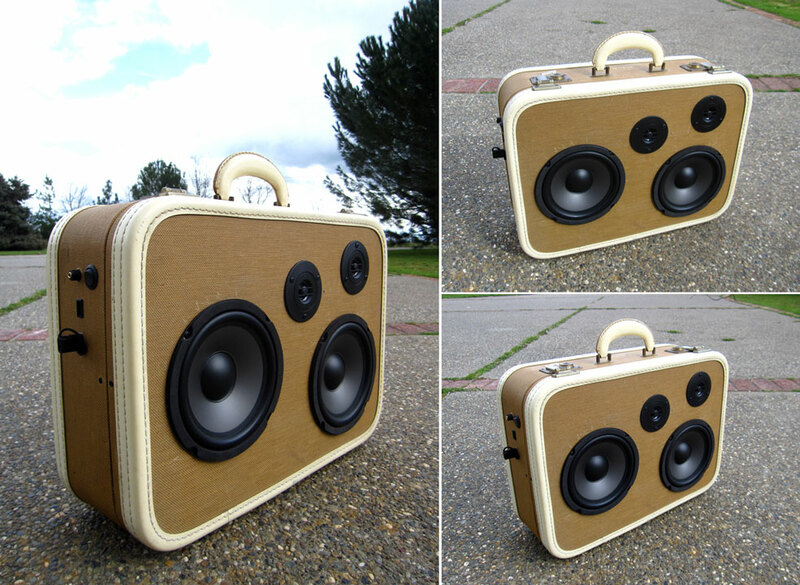 Dont see a BoomCase you like and want to get one for a loved one? Then get BoomBucks! A beautiful Gift Certificate will be mailed out to where ever your heart desires. You can even add any special notes on your BoomBucks Gift Certificate. Choosing BoomBucks will allow your loved one to choose a BoomCase of their liking. BoomBucks will go towards any BoomCase in store now or in the future. They will even be good for Custom Order BoomCases when we re-open that section. In order to not fall too far behind with orders we will temporarily stop taking custom orders this Wednesday Nov. 24. Any order after this day will be put on an email list. We will notify everyone on the email list when custom orders will resume. Sorry for the inconvenience. In place of custom orders we will be cranking out a bunch of new ready-made BoomCases in the next couple weeks for everyone to buy. 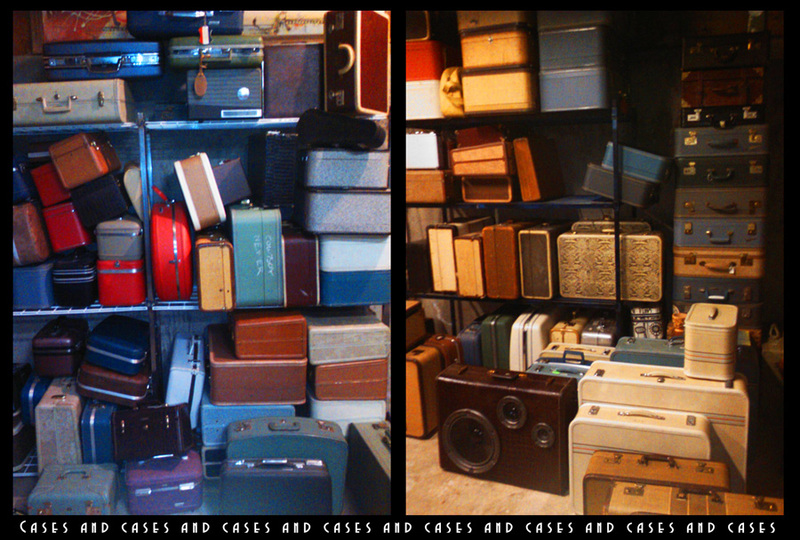 Look for at least two new BoomCases to be for sale tomorrow and a few more later in the week. They are pretty sweet ones. Thanks for all the support and understanding. Be sure to get on our email list (to the right of this post). Or Add Us On Facebook. Sorry if this is an inconvenience for anyone we just want to be able to make the best Boomcase possible and available to everyone. We are still taking orders on the cases already listed on the site. Thanks Again and Please subscribe to our mailing list (to the right of this post) to be notified when new BoomCases are up for sale and when we will be releasing our new stock for custom orders.